This post was adapted from our report on the Conrad N. Hilton’s Catholic Sisters Initiative. Catholic sisters have been present in Africa since the Sisters of St. Joseph of Cluny landed on the shores of Senegal in 1822 and established a mission in present-day Gambia. Since that time, they have had a significant impact on the religion and development of many African countries, at the same time as they have faced health, resource and cultural barriers in their mission work. As the evaluator for the Conrad N. Hilton Foundation’s Catholic Sisters Initiative, CRCC has studied both the potential and limitations of African sisters. We are in discussions with leaders in philanthropy, religious orders, the church, government and civil society about how to best enable sisters to tackle global challenges, such as those outlined in the United Nations Sustainable Development Goals. But to shape the future, we must understand the evolution of religious life in Africa from 1822 to today. Sisters’ mission work on the frontlines of the church’s evangelization of Africa was rooted in the European colonization and enculturation of the continent. They established hospitals, schools, farms and orphanages and became the backbone of African social welfare and educational systems in the 19th and 20th centuries. The spiritual witness that sisters provided in their work and religious practice attracted and inspired young indigenous women. These early missionaries did not have religious vocations and formation in mind for African women. Even the 1926 papal directive Rerum Ecclesiae, which endorsed the development of local clergy and religious orders, did not engender much movement for establishing novitiates across Africa. It was not until the 1960s and 1970s, with the advent of Vatican II and the independence of African countries, that the majority of formation houses were established on the continent. Young African women faced a double challenge in pursuing religious life. First, orders were not eager to welcome indigenous sisters. Then, their own families and cultures viewed women’s roles solely in terms of motherhood, preserving the family lineage, providing bride price and passing along cultural norms and traditions to the next generation. Sociologist Casey Clevenger and others have documented the difficult obstacles young women continue to face to fulfill their vocational calls today. Some young women are entirely cut off from their families when they enter formation houses. Once young African women enter formation houses they also face an uphill battle to acquire the necessary skills and education to become teachers, nurses, agricultural extension workers and bookkeepers. Despite the challenges faced by young African women seeking religious life, the number of African sisters has increased dramatically over the last 50 years. 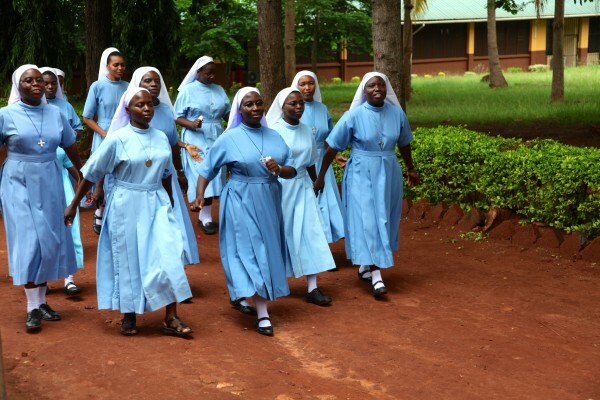 A survey conducted by African Sisters Education Collaborative (ASEC) in 2014-2015 documented more than 42,950 Catholic sisters and 4,298 women in formation houses in ten countries, and these numbers are growing. The situation has come full circle as African sisters are now being asked to support “reverse mission” work to countries such as the United States, Canada, Australia, the United Kingdom and Ireland to bolster the work of congregations and dioceses that are losing women power as their native congregations decrease in size. Today, African congregations are vital and growing. Sisters have educated many of the presidents, corporate leaders and influential people throughout the continent of Africa. They also run and staff many of the best hospitals and clinics. And they advocate for human rights as they serve children with disabilities and work in many of Africa’s slum areas. Nevertheless, they face several significant challenges to their vitality. There is an increased demand for leadership and technical expertise in their mission work in African countries and abroad. And the swelling numbers of aspirants wanting to enter formation houses strain resources. In short, they face the opposite challenge of their counterparts in Europe or North America. Congregations are flooded with more aspirants than they can handle, and they struggle to educate young women who are entering their ranks fresh from secondary school. Education and leadership skills are key to running the day-to-day mission work of congregations, from financial planning and bookkeeping to fundraising, teaching, counseling and nursing. Local governments are increasing the requirements for teachers, principals, nurses and other occupations that sisters hold. Congregations need to have the resources to respond to these evolving requirements. Beyond educational and leadership skills, young sisters and those in the novitiate must have a solid spiritual and theological foundation as they develop and respond to the spiritual and emotional demands of their work. This requires congregations to have a strong formation process before and after final vows. Finally, it must be kept in mind that the socioeconomic and cultural trends that have driven the downturn in religious vocations in Europe and North America may have a similar impact on African women joining religious communities in the coming years. Today, families in Africa are often large, educational options for women are limited and women often marry young. These contextual factors may make the call to religious life attractive—especially when this call is matched with genuine spiritual motivations and a congregational charism that serves disenfranchised people. With economic development, the fertility rate typically decreases and women gain greater options for higher education and careers outside the home or convent. These trends are on the rise in African countries. As countries evolve economically, it is possible that the number of women committing themselves to a religious vocation may change, as is occurring currently in Zambia. Today, though, Catholic sisters in Africa are strong and vital. Their strength and UN’s Sustainable Development Goals present an opportunity for foundation, church and civic leaders to invest in sisters, seizing the moment when congregations of sisters are often brimming over with potential recruits who, after appropriate training, can address many of the challenges facing developing countries. 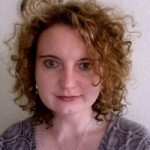 Tarra McNally is the assistant director of evaluation at the USC Center for Religion and Civic Culture.